Whether secluded in his studio on Manhattan’s Upper West Side or traveling the globe with renowned musicians such as Regina Spektor, Rufus Wainwright, Interpol’s Paul Banks, Kiesza, Yael Naim, or Kishibashi, cellist and composer Yoed Nir possesses an artist’s touch which has made him a go-to arranger and cellist for many artists and countless projects. 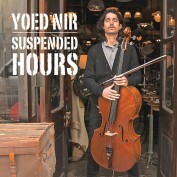 Endorsed by Yamaha, Apogee, DPA & D’Addario Strings, Yoed has captured a unique voice and musical homogeny, showcased in both his debut album Suspended Hours and his second solo album, The Next Dream, to be released in June 2014. Yoed, who was born in a small town in Israel, fell in love with the cello at the age of seven. His passion led him to study classical music at the Conservatory of Music in Tel Aviv, where he took master classes and studied under prominent musicians such as Daniel Barenboim, Janos Starker, and Mischa Maisky. 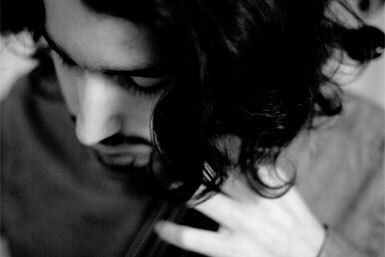 While many of his contemporaries use a more traditional compositional tool such as the piano to write music, Yoed views the cello as a direct extension of himself. With the help of modern recording technology, he effortlessly moves from inspiration to recorded sound, all while using the instrument he has dedicated the past twenty-six years of his life mastering. Yoed’s impressive touring history and deft ability to arrange music, layer sounds, and overdub string sections has garnered him a wealth of experience and recognition within the music world. He’s had the privilege of recording with Interpol’s Paul Banks, for whom he arranged and performed all the strings on his first two solo albums. In 2008 he recorded with Yael Naim on her Billboard-topping self-titled album and has toured extensively with Regina Spektor as well, most notably on a recent world tour to promote her What We Saw from The Cheap Seats project. He has performed in such storied venues as Radio City Music Hall, London’s Royal Albert Hall, the Sydney Opera House, Carnegie Hall, Alice Tully Hall, and the Rose Theatre at Lincoln Center, to name a few. Yoed has also appeared on The Today Show and The Tonight Show with Conan O’Brien (NBC), The Late Show with David Letterman (CBS), Good Morning America (ABC), The Late Late Show with James Corden (CBS), The Late Show with Stephen Colbert (CBS) and Later with Jools Holland (BBC). Though much of his time has been invested in supporting world-renowned artists in the studio and on tour, Nir’s own music remains close to his heart. His debut album, Suspended Hours, and his second album, The Next Dream, both display the musical skills which have made Yoed an indispensible part of more than 700 albums by various artists across multiple genres. Yoed Nir’s solo releases showcase his distinctive touch and voice, using a language that bridges the classical and contemporary music worlds. 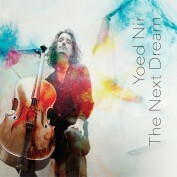 The Next Dream, Yoed Nir’s sophomore album, features airy and lushmelodies intended to serve as the soundtrack for dreams and to inspire freedom of imagination as the sounds wash over the listener. Moments of meditation lead into those of excitement and tension, like transitioning from one dream to the next. Despite each song’s distinct sound, a clear underlying theme begins to appear, a dreamlike fusion where Eastern and Western musical traditions collide.